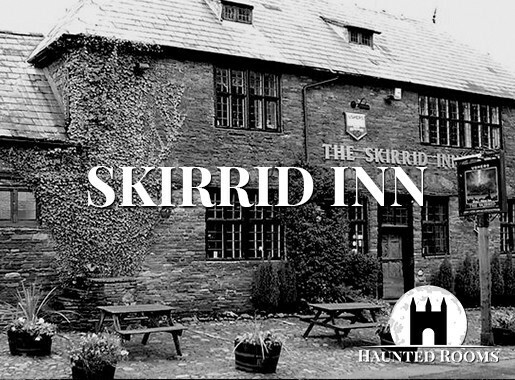 The Skirrid Inn has a long and torrid history of violence against humanity and is now revered as one of the most haunted places in the UK. So many ghostly happenings have been reported here that it has earned a reputation for being a terrifying and very intimidating place to spend the night. 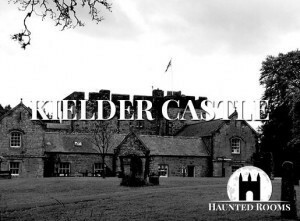 We have spent so many nights here and still feel as if we have more ghostly experiences to encounter. 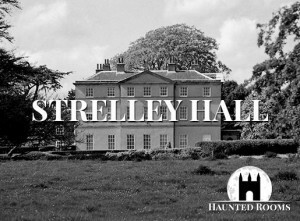 Most of our guests report that there has been a sinister atmosphere around them and in some of the rooms they have felt fearful and unwilling to enter them. The Skirrid Inn is a terrifying pub and definitely not for those with a nervous disposition. The paranormal activity witnessed in this pub is spectacular. Glasses have been seen flying across the bar, cackling laughter has been heard from empty rooms and extreme drops in temperature are not uncommon. People have reported menacing shadows, the heavy thump of feet from the upper floors and some have felt such extreme fear here that they have fled and vowed never to return. 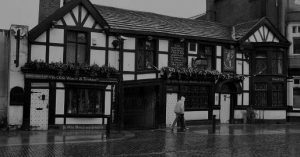 An overnight ghost hunt at The Skirrid Inn is a daunting experience and the sinister feelings experienced in the main bedroom have terrified many hardened ghost hunt veterans. 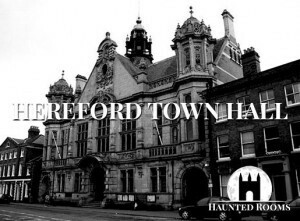 Slammed doors, loud footsteps and even hushed voices await you on your ghost hunts here are you brave enough to enter and discover its secrets? What will you experience as you embark upon a ghost hunt at The Skirrid Inn? First mentioned on record in 1110, the historic Skirrid Inn is now over 900 years old and claims to be the oldest pub in Great Britain and its history includes that of both Welsh and English Kings who would have used the ancient ‘mounting stone’ which still sits in the forecourt to this day. It is alleged to be the place where Welsh rebel Owain Glyndwr called together his troops in the 14th Century and where Judge Jeffries (the hanging judge) began his illustrious career of execution. There is a beam in the Skirrid Inn which still bears the rope marks of the hangings carried out in the Inn and there is also the hallmark of a courtroom on the first floor and of a cell where the condemned man may have spent his last night before facing his agonising death the following morning. 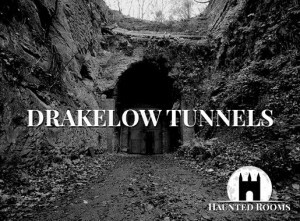 It also claims to be the home of several ghosts or spirits as well as the scene of numerous supernatural occurrences or paranormal activities. Indeed the reputation of the inn is such that it has merited the attendance of a number of paranormal investigators over the years who have gone on record in the past to say that it is one of the most paranormally active venues they have ever investigated. There is no readily available documentary evidence to show that Jeffreys ever sat in judgement at the inn, however, during his career he did deal with cases in the area from Chester to as far south as Montgomeryshire (now part of Powys) and within a few years then dealt with cases on the Western Circuit including the county of Somerset. Both territories being within relatively close proximity to Monmouthshire, it is possible that on his travels he may have stopped at the inn or may even have heard isolated cases at the inn if conditions so dictated. The events for which Jeffreys is most famous are the Bloody Assizes. This term was given to a number of trials held by five judges led by Jeffreys, following the rounding up and capture of a large number of rebels involved in an unsuccessful attempt to overthrow James II in 1685. This revolt became known as the Monmouth Rebellion, named so after the leader, the Duke of Monmouth, but had little if any connection with Monmouthshire where the inn is located. Otherwise known as James Scott, the Duke was given the title, being an illegitimate son of Charles II. Having spent much time in The Netherlands he landed on the coast of Dorset with a small band of men and rallied together a large group of poorly trained and badly armed supporters as he made his way through Dorset and Somerset. A battle subsequently took place against the King’s army, at Sedgemoor near Bridgwater in Somerset. The captured rebels, including some sympathisers, were tried at Winchester and other towns in the south west of England. The majority of those found guilty were transported to Barbados as plantation workers. Of the remainder, some died while awaiting trial and possibly as many as 200 were executed in Somerset. Importantly there would appear to be no record of any of the trials or executions having occurred at the inn. 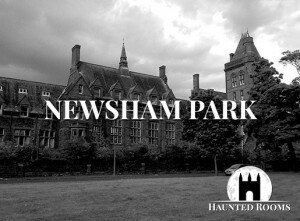 In the ebook, Eerie Britain, author MB Forde points out that the Inns claim of dating back to around the year 1110 is unlikely to be entirely true, citing work undertaken by the Glamorgan-Gwent Archaeological Trust which stated that the Inn is mainly a mid-late 17th century building in construction. However, he offers up the likelihood that a public house stood on the site for many years due to it being situated upon a pilgrim trail that led to Llanthony Priory (itself built in 1108). The Skirrid Inn is definitely an important building and one that does not have a particularly pleasant history.